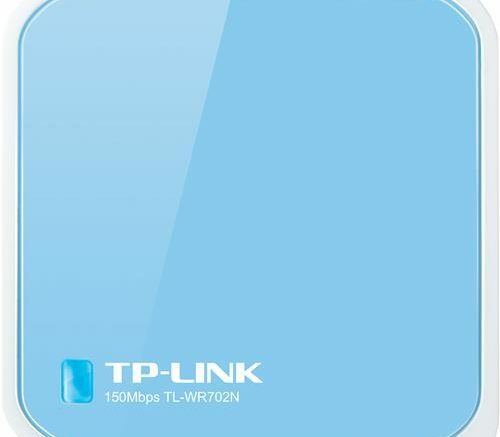 Our TP-Link Wireless-N router is one of the least expensive on the market… but is it worth the money? A router that doesn’t work isn’t worth any amount of money. The first thing you need to know is that prices on wireless-N routers have really dropped this year. Wireless-AC routers are the standard now, and that’s led to a string of really low-priced wireless routers out there. They lack some of the more advanced features of Wireless-N such as dual band/5GHz support, guest networks, custom channel width, and that sort of thing, but for basic use that’s not something your average person would use. I got my hands on one of these routers and tried it out in place of my several-years-old top-of-the-line Wireless-N router from Cisco/Linksys. Setting up the router does take some effort and if you’re not familiar with the process you might want to get a friend to help you. The router comes configured as an access point, in other words it’s designed to give you wireless access somewhere in your home when connected to your home network. The built-in software makes it easy to choose between access point, router, and repeater mode, but you do have to set pretty much everything manually. The user guide is written in sort of half-English and it’s a little funny to read that way. So this is really not a plug-and-play solution. Compared to the Linksys solution, this was not the easiest setup experience. It doesn’t support WPS, and the Linksys routers come with a very easy wizard-based setup. But then again they’re four times the price for even the lowest-priced model. As I said, this is a very versatile little box. It can be an access point, a router, or a repeater (wirelessly extending the reach of your home network.) That’s a lot of capability for something so inexpensive. Once it was set up, it worked flawlessly for a week until I decided it was time to write this review. The range was just a little better than the router I paid $250 for not that long ago, either. The setup process was a little time-consuming, yes, but how often do you get into the setup screens for your router? I’m a total geek and I don’t even get in there very often. The other thing is the size… this is one tiny router. Yeah, it’s going to stick out a little bit due to the manufacturer’s inexplicable choice to make it bright blue, but it’s not that bad, and it blends in well enough when you’ve got a stack of equipment sitting in front of you. If it bothers you that much, it’s not such a terribly hard thing to scribble all over it with a black Sharpie or color it with black model paint. I didn’t do this so I can’t tell you whether or not it would have any effect on the device’s range. If you’re looking for a cheap router for some reason or other, whether it’s for travel or just to have a spare, if you’re looking for something flexible that can extend your existing wireless network or do double duty as a router in a pinch, you could do a lot worse than this tiny little router and let’s be honest, for the price I could by 15 of them and still not quite get to the price I paid for my super-expensive router… and even I don’t use all the fancy features it has to offer. Can you watch live TV on your PC?